It’s not the final round of the season, but it is the most important. 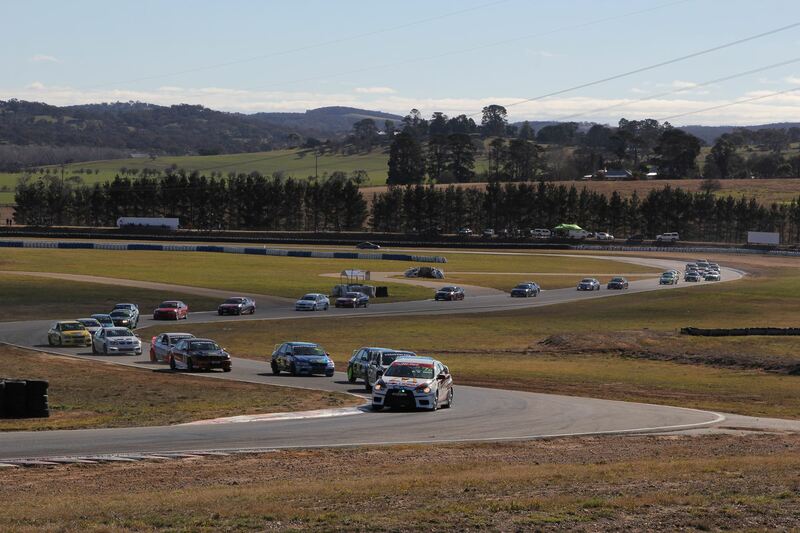 This weekend, the curtain will close on the State Championship portion of the 2016 V8 Superlaps Production Touring Car Championship. Three drivers, from three different classes, representing two different manufacturers, will fight it out for the coveted State Championship, in a one-hour showdown on Sunday afternoon. 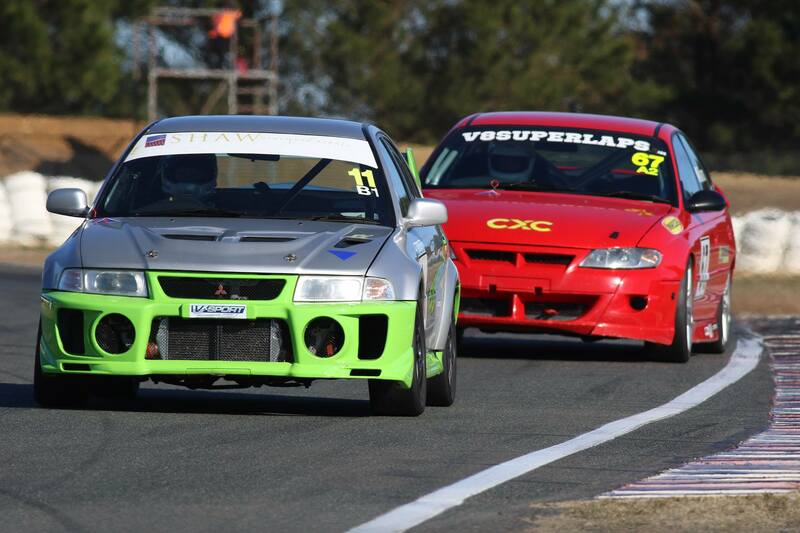 It’s the headline act of the final NSW Motor Racing Championships event of 2016, and a field of 37 cars will line up for the final NSW event of the Production Touring season. While the Club Championship and the MoComm Cup will be decided at Winton Motor Raceway on the opening weekend of December, this weekend determines who will wear #1 in 2017. Matthew Holt, Blake Aubin and Chris Reeves are separated by just six points heading into this round, and any one of the three can therefore win the championship on Sunday afternoon. 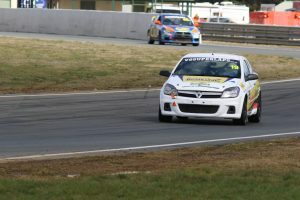 Holt is a sentimental favourite among many in the paddock, who would love to see a V8 Commodore take outright honours, in a series that has won by the Class D Toyota 86 of Reeves for the past two seasons. A hat-trick of championships for Reeves would be the perfect ending to his association with that car. He has made no secret of his desire to upgrade to a car that is capable of fighting for (outright) race wins for the 2017 season. 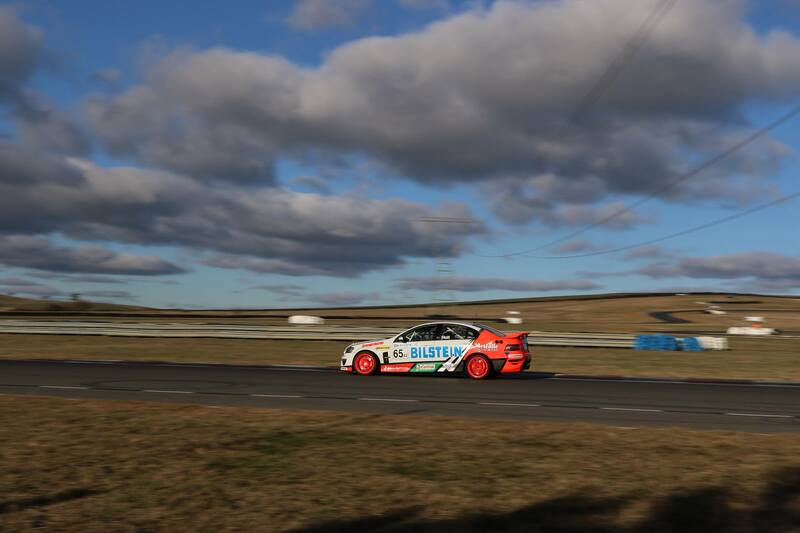 Then there’s Blake Aubin – the boy from Bathurst, who along with brother Kyle, are set to secure a 1-2 in Class C. The incredible reliability of the Holden Astra, and Blake’s sensational consistency, is why he is a title threat. Whilst Class C hasn’t been heavily populated like Class A2 or D, Aubin’s ability to finish first or second in class in all 11 races in this championship, see him sitting three points behind Holt, and three ahead of the defending champion, with one round to play. While the focus is on those three men, there are plenty of contenders for either outright or class victory, who will be out to steal the limelight from the top three this weekend. 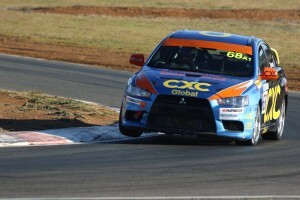 CXC Global Racing will lead the charge for outright victory, with Daniel and Jacques Oosthuizen looking to continue on from their 1-2 finish in the last round at Wakefield Park. Dylan Thomas will be back on the grid, as will Jacob Andrews, with the two pairing up in a CXC Global Racing Mitsubishi Evo 9, and not the 10 that Thomas scored the round win in here in July. The race will be Andrews’ first since his nasty shunt at corporate hill seven weeks ago. 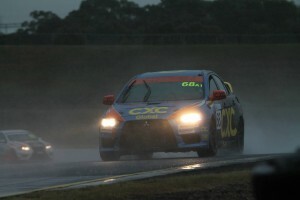 While Andrews was OK, the car was a write-off. CXC will face stiff competition from the Pollicina Motorsport entry of Jim Pollicina and Michael Caine. 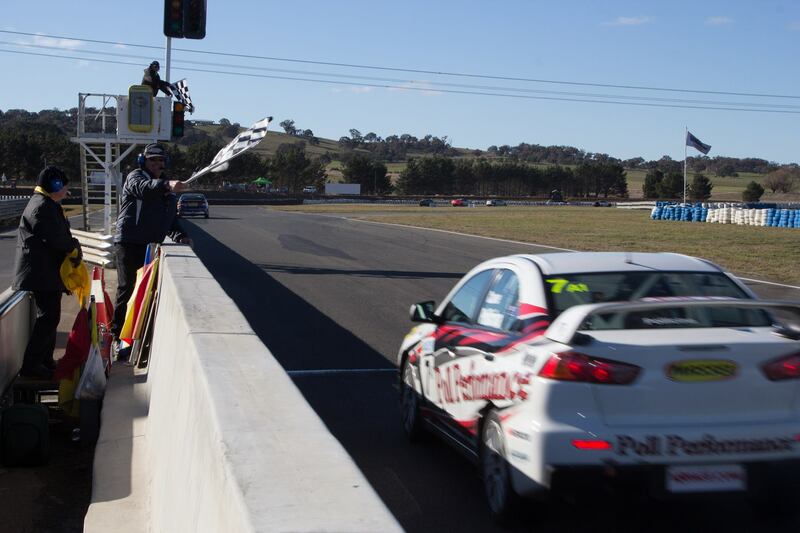 The pair won the opening MoComm Cup race of 2016 at Wakefield Park, and will be looking to bring that form with them to Sydney – you’d back them to do it as well… two experienced campaigners, who have both expressed how much they enjoy driving the Evo X. After teaming up in the Hi-Tec Oils Bathurst 6 Hour, Daniel Flanagan and Merrick Malouf return to the grid, but in separate entries in Class A2, which is the most populated class in a 37-car field. 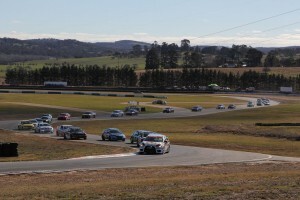 Of that 37, sixteen cars have a two driver line-up, which again showcases the high interest in this series – there were only eight cars with two drivers in the last endurance race at Wakefield Park in July. V8 Superlaps’ Brett Heeley returns to the grid for the first time since round 1 in February. 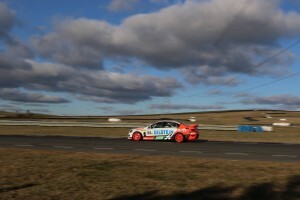 Heeley scored a memorable class podium with Matthew Holt and Jamie McKinlay at the Hi-Tec Oils Bathurst 6 Hour, and returns to the grid looking to build on that strong result. Also returning is series president, Gerry Murphy. Murphy will run in a former BMW E92 M3 of Brian Anderson’s, ending a long run of Production Touring outings in his Holden. 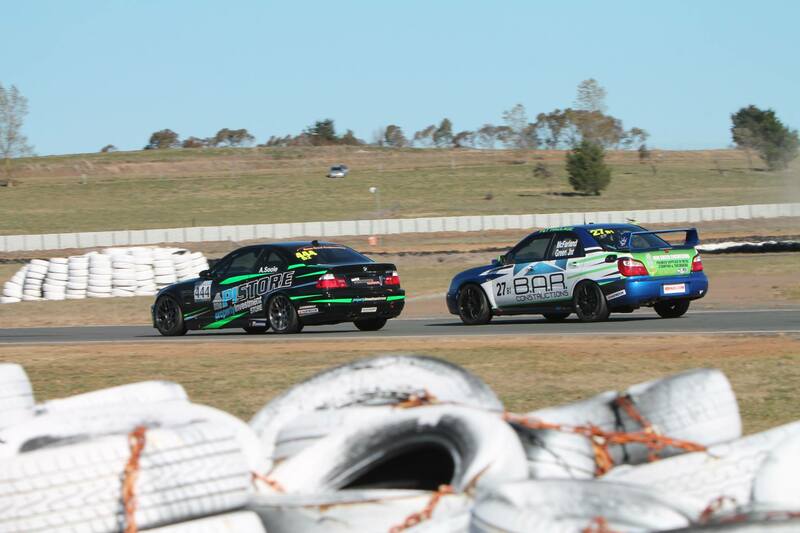 Anthony Soole, who sits 4th in the series, will pair up with 2016 Wakefield 300 winner Adam Burgess, who’s normally racing in Production Sports. That category is not on the schedule this weekend, allowing Burgess the chance to race the BMW with the Class B2 leader. The V8 Superlaps Production Touring Car Championship is very much a family category – quite often, it’s family members helping our drivers off-track and in the pit-lane, plus there are quite a few family teams, such as Aubin Brothers Racing, and Oosthuizen Motorsport, but this weekend, a Husband and Wife team will line-up on the grid for the first time in this series for 2016. Paul Loiacano, the Class B1 runner, will team up with wife Cath, in the Mitsubishi Evo V he’s competed in all season. Cath has only recently acquired her racing licence… what a stage to commence your racing career on, with 36 other cars – it would be a daunting prospect for some, but for Cath, the job is simple – bring the car home in one piece, and if she can do that, Paul will secure Class B1 honours for 2016. Another family entry in Luke Searle and Barry Graham will return to the grid in their BMW,and will be fighting for a podium finish in Class A1. The last time we saw the GWS Motorsport team of Simon, Peter and James O’Donnell was at the 6 Hour – and sadly, that event didn’t end well, with Simon losing control of the car at the entrance to the Chase, after hitting some oil, and he crashed into the wall on the outside of the circuit. 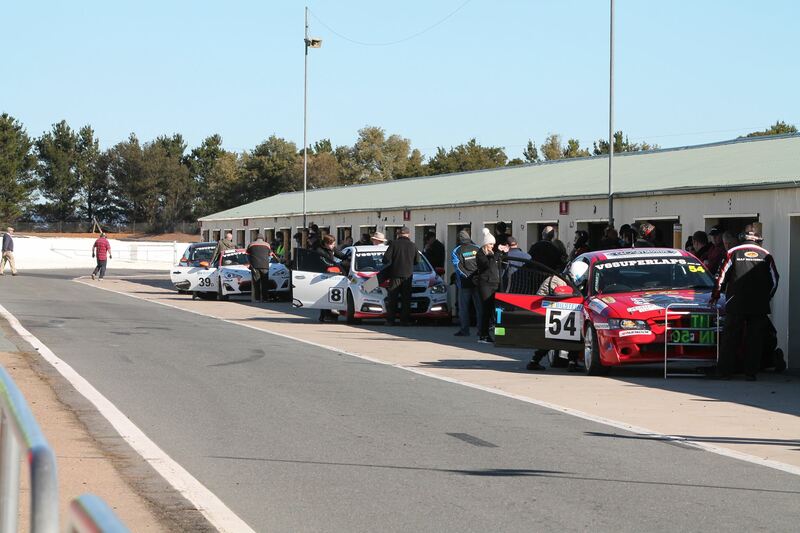 Simon is absent this weekend, but James and Peter are back on-track, but in a BMW 335 this time around. The final family entry is that of Finley and Aaron Hills. Aaron will share the driving duties in the Mazda with his son for the very first time, and he is rather excited about getting back behind the wheel, but quietly curious, like we all are, about how he’s times will stack up against Finley’s. Lots to look forward to this weekend: Two Qualifying sessions on Saturday morning – one for each driver, a race for each driver on Saturday afternoon, before a 24-hour wait until the lights go green on the final state race of 2016. The weather? Well, Saturday is expected to be dry, with a top temperature of 22 degrees, but rain is forecast for Sunday… a top temperature of 21 degrees, but should that rain arrive, it will set the cat among the pigeons in a race that already has so many different variants and talking points. For the championship contenders, the job isn’t easy, but the goal is simple… FINISH – a retirement will ruin any chance of championship glory, but finishing will ensure that their hopes are still alive, and then each man will hold his breath and cross his fingers, while waiting to find out how his opponents fair. 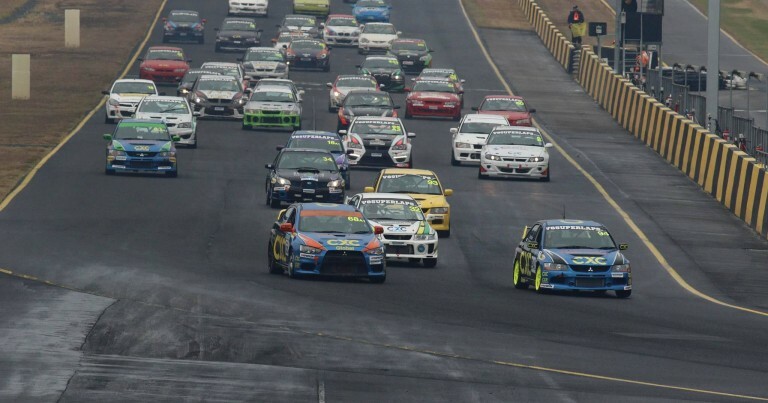 If you can get yourself to Sydney Motorsport Park, do so – this is the championship finale that you don’t want to miss, but if you can’t be here, our friends at 2MCE Sport will have a FULL REPLAY of the one-hour race, Monday night from 11pm AEST. Holt and Muggleton Join Forces in Holt’s Quest for Glory. Oosthuizen Boys Break Enduro Hoodoo, as Matthew Holt Takes the Title.